UNITED STATES HEADQUARTERS: Maranatha Volunteers International 990 Reserve Drive Suite 100 Roseville, CA 95678 Phone: (916) 774 7700 Fax: (916) 774 7701 Website: www.maranatha.org Email: info@maranatha.org IN CANADA: Maranatha Volunteers International Association c/o V06494C PO Box 6494, Station Terminal Vancouver, BC V6B 6R3 CANADA All notices of change of address should be sent to the Maranatha Volunteers International United States address. Maranatha spreads the Gospel throughout the world as it builds people through the construction of urgently needed buildings. One of the people I’ve talked to is Don Kirkman, Maranatha’s favorite storyteller. He’s 92 and full of humor and heart. He wasn’t one of the charter members of what was originally called Maranatha Flights International. But he was there early on, and he’s been a devoted board member, architect, and volunteer ever since. Don told me about the Yellowknife Project. This was the legendary Maranatha mission trip in 1973, when 23 private aircraft flew into the Northwest Territories to build a Seventh-day Adventist Church in just two weeks. This “fly-in,” as it was called, drew much attention and established Maranatha as an important supporting ministry of the Adventist Church. He dropped names of who was there, recounted the 24 hour days of work—up there, the sun dipped low but never set—and chuckled at how he and his friend didn’t catch a single fish on the trip, despite their best efforts. Then Don stopped. He looked at me and said the only thing anyone really needs to know about Maranatha’s history. A snapshot of volunteers and projects in the mission field. SÃO TOMÉ & PRÍNCIPE In November, the Angolares congregation celebrated the dedication of their new church. INDIA A young volunteer on the Family Project, held during Christmas, learned how to throw clay with a local artisan. BOLIVIA Forty-three volunteers with the Oklahoma Conference Team worked on the Cassab church in Cochabamba. ZAMBIA In February, 43 volunteers went to Zambia to build the Kabwe Adventist Primary School. The Wauchula church, in Florida, was constructed in just 11 months, using Maranatha’s standard plan for churches in North America. finished, church members exhibited a new pride in their building, inviting friends to worship in their sanctuary. Soon the church’s membership grew from 28 to 70, a 250% increase. “I think it shows that when you have a decent house of worship that people are proud of, the church will grow,” says Roger Hatch, who led the construction project for Maranatha. Currently, the Adventist Church in North America is collaborating with Maranatha to fulfill a number of church construction requests in the United States and Canada by using the standard church plans and volunteers. Learn more about how Maranatha can help your church by going to maranatha. org and looking at North America Project Assistance. The event also featured performances from Grammy-nominated singer Wintley Phipps, a message from evangelist Mark Finley, and nearly 800 baptisms. 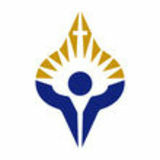 Maranatha has been working in Brazil since the 1970s. During the most recent effort, Maranatha constructed 988 churches in the country with help from 921 volunteers. from dirty streams or dig down into dry riverbeds to scoop up whatever water seeps up. These sources can be contaminated, but it is the only option they have. Maranatha has provided more than 1,000 water wells in countries around the world. In 2018, Maranatha launched an effort to drill wells in Kenya, where an estimated 19 million people lack access to clean water. #GivingTuesday refers to the Tuesday after Thanksgiving. In 2018, the movement raised more than $380 million in the United States alone. n the night that 6-year-old Aliza Tianina ran away from home, it was pouring rain. It was pitch black, and she didnâ&#x20AC;&#x2122;t know exactly where she was running, but she knew that she had to get away. Alone, she made her way through the Kenyan bush, staying away from roads, wild animals, and other predators. Her decision to run was dangerous, but no less terrible than the fate that awaited her back at home. As a member of the Maasai tribe, she was scheduled to undergo traditional female circumcision known as female genital mutilation (FGM). It is painful and comes with the risk of infection, urination problems, severe bleeding, and even death. The ritual was in preparation for her upcoming marriage, when she turned 9 years old. In exchange her father would receive a dowry of cattle, the Maasaiâ&#x20AC;&#x2122;s currency of choice. The Kenyan government has declared child marriage and FGM illegal, yet most Maasai girls still undergo the painful ritual as young as six years old, having no choice in the matter. So Aliza decided her only option was to run away. This was her second attempt; her first effort had failed. For days, she traveled on foot, across a flooded landscape, crossing rivers where the water came up to her neck. She encountered wild animals and hunger pains throughout her journey, and days later finally arrived in a town. Eventually she landed at a place called at the Kajiado Adventist School and Rescue Center, some 30 miles from her village. Photos from left to right: Kajiado student Aliza Tianina visits with her father, Ole Mwanta, and brother Edgar. Maleton and Edgar receive a health screening at a local clinic as part of the school’s registration process. View of the current girls dorm from the future site of two new dorms. Maleton unpacks new belongings into her new home. traversed the harsh landscape during the rainy season. As the sky began to lighten, we finally arrived at a Maasai manyatta, a village, surrounded by acacia trees. At the familiar sight, Aliza and Sarah recalled their first attempt to go back, two years ago. “My dad came out of the house, and he wanted to beat me while I was holding my little brother,” recalls Aliza. “Everyone was crying, saying ‘Please don’t beat her, let her stay with us, we have missed her.’” Thankfully, things were different this time. Aliza’s father, Ole Mwanta, the village elder, was stern when we first arrived, but he slowly warmed and eventually came to regard us as honored guests. The anger he once felt had been replaced by pride for the education his daughter is receiving. While capturing village life, we received word that a visiting 9-yearold girl, a cousin of Aliza’s, had just been “booked” for marriage and was scheduled to undergo FGM. The girl, named Maleton, was crying and scared. Her grandmother, who brought the girl to this manyatta for circumcision, was also distraught, looking for a way out for her granddaughter. These buildings mean that more girls will find a new home, a new family, and a new life at Kajiado. They will have the opportunity to learn about a Heavenly Father who loves them, a church community that supports them, and a Savior who gives them the strength to forgive and love. During mid-week prayer meeting at the school, we listened to the kids sing “What a Friend we have in Jesus.” At the Kajiado center, hymns are sung with the power to claim the lyrics. As the chorus of voices rang out, I looked at the faces of these children who were once rejected. To those who previously had nowhere to go and no one to count on, a Savior is praised with all their might. They sing because the words have a direct connection to their rescue experience. “Do thy friends despise, forsake thee? Take it to the Lord in prayer! In His arms He’ll take and shield thee, Thou wilt find a solace there.” Though the world can forsake the least of those among us, we hold onto places like the Kajiado Adventist School and Rescue Center, where new life grows as children find solace, a Savior, and a future. And as Maranatha’s work continues at this small school at the edge of Maasai-land in Kenya, even more children will find themselves in loving arms as they begin new journeys in a new home. Photos from left to right: Maleton (red vest) experiences Sabbath School for the first time. Headmistress Sarah Daniel poses with Maleton and Edgar after purchasing their new school uniforms. hile in high school, Karisse Fiedler and Matthew Lee went on two Maranatha mission trips—one to Honduras and another to Venezuela, where Karisse was baptized. Then, after they got married, they spent two years in the Micronesian Islands, serving as missionaries on the island of Chuuk. Now, as a family of four, the Lees have dreamed of returning to the mission field. But what ultimately took them back was their son. “Cohen really wanted to go on a mission trip. He would tell us that he couldn’t believe he was nine years old, and he still had never been on a mission trip,” remembers Karisse, who lives in northern California. “This kid really wanted to go, and we thought, ‘Why not start them young and see what they can do?’” Karisse started researching opportunities and learned about a project to Fiji being organized by college students. It looked like a great experience, but there were a couple of challenges. First, Matthew wouldn’t be able to go because of scheduling conflicts. Second, Karisse was worried about whether her kids would be able to handle the work. “I didn’t want to take my kids on a mission trip only to have them play on the beach all day while I worked. I wanted a way for them to actually work and experience service,” says Karisse. Project leadership assured her that the kids would get to help, and she verbally committed to joining the project. trip and how good it was going to be.” Finally, the Lees raised all the money needed, and in December, they boarded a plane for South America. In Bolivia, the Lees joined 53 volunteers in Cochabamba to build the Dios Proveera church. For years, the congregation had been meeting in a building with only two and a half walls, a roof of various materials patched together, and a dirt floor. The group also painted the Chimba church, previously constructed by another group, and organized a community children’s program and a medical clinic, which included health screenings and dental services. Every day, the team split into groups for various work sites. Children had the option to stay with their parents or join the Day Camp, a program for the young volunteers. Like most of the kids, Cohen and Zara rotated through various sites to experience every aspect of the project—although they certainly had their favorite stations. “My favorite part was helping build the church,” says Cohen, who loved hanging out on the construction site with his dad. “I got to spread mud on the blocks, shovel and sift sand, and work on the scaffolding.” Zara enjoyed putting her well-practiced fundraising skills to good use. When the volunteers heard that the local congregation still owed quite a bit of money on the loan for their property, Zara and the other kids on the project made limeade and sold it to the adult volunteers to raise $250 for the local church. By the end of the project, the Lees were exhausted and thoroughly blessed. “I liked it even more than I thought I would. The people were so kind and generous,” says Zara. “It was really fun, and you got to learn more about God. I felt really glad.” “It was awesome. I got to play soccer with some of the local kids, make new friends, help with the construction and at the clinic, and see new things,” says Cohen. For Karisse and Matthew, their son may have been the impetus for going on the trip, but after the experience, they won’t need any convincing to go on more projects with their family. “Watching our kids get involved in service and being focused on others was the highlight for us,” says Matthew. “It teaches our children to have empathy and helps them to see others’ reality, which gives them a framework to base future experiences on. We were so impressed with the coordination and smoothness of the logistics of the trip. Our group leaders were amazing and did such a great job of including kids in all aspects. We look forward to joining Maranatha on another family trip.” Interested in going on a family adventure with Maranatha? Join us from June 20-30 in Zambia for our next Family Project. Visit maranatha.org for more information. n February, nearly 80 people gathered in High Springs, Florida, for a Maranatha project at Camp Kulaqua. The volunteers spent more than two weeks helping with renovations at the Christian retreat center. While the primary focus was on replacing decks for the camp cabins, volunteers also helped with landscaping, fencing, and painting. The participants came from all over the United States, along with two from Brazil and one person from Jamaica. The volunteers ranged in age from 3 years old to someone who turned 80 on the last day of the project. About 40 percent of the team were first‑time volunteers. Among the first-timers was a fellow named Gordon Hudak. He joined for several days at the invitation of a friend and was immediately “hooked.” “My limited five-day experience, this past week working with the Maranatha team, had such an impact on me in so many ways. Spiritual is certainly at the top! The team members that I met have such a love for mission and a deep relationship with Jesus,” Gordon wrote on his Facebook page. “Most of them, as others, could simply write a check for any given worthy cause and been on their way. It’s really another thing to be hands-on involved with Godgiven talents.” Maranatha coordinates more than two dozen projects in the mission field of North America each year. The majority of these projects provide food and lodging in exchange for your service. Check out maranatha.org for a list of all our opportunities in the United States and Canada. fter 50 years, we’ve acquired quite a collection of Maranatha artifacts. Recently, we dug into the archives to take a trip down memory lane. From jackets to keychains to tiny patches that indicated how many projects you’d been on, Maranatha was quite a club of enthusiasts. Did you know Maranatha once required a monthly membership fee? There were passports with special stickers for each trip you took. A man named Bob Hoffer built wooden church banks for The $10 Church program. The Adventist World Church president even wrote a book about the early pioneers of Maranatha! Today, Maranatha has grown into a much larger organization, involving more than 40,000 people from around the world. We’ve come a long way, but it’s fun to see how it all started. A look at how your support is making a real difference for communities around the world. BEFORE The congregation of Água Marçal used to meet in this partial structure in the yard of a church member’s home. The space was too small, and there was no protection from the relentless heat and tropical rain of São Tomé. AFTER The beautiful new church building, sponsored by generous supporters like you, is spacious and full of light. It is also located on a busy road where plenty of people will be drawn to the presence of the Adventist faith in their community. We are hoping to build nine churches but desperately need more funding. Bolivia has an active membership with 123,000 members. But many of the congregations are unable to afford a church of their own. Last year, your donations built six churches. Thank you! Now we hope you’ll help us continue the work by making a gift for Bolivia projects. Did you know that approximately 38% of the churches in India were built by Maranatha—thanks to your generous donations? This has led to tremendous membership growth, and now they need more churches. In a country of more than one billion people where only two percent are Christian, we have a long ways to go in sharing the Gospel. Please help us continue our work in India by making a donation. We are proposing to build 30 churches this year if we have funding. For the past 30 years, this program has funded nearly 400 churches by asking thousands of people to give just $10 a month. However, support for this simple but critical program has dropped, and this is making an impact on our ability to help congregations around the world. Please join The $10 Church by making a monthly donation for $10 or more a month. If you’re already a member, please consider increasing your monthly amount. This is one of Maranatha’s most important fundraisers! Anyone can join a Maranatha mission trip! Check out our upcoming opportunities here or go to maranatha.org for the most updated list. Travel into the mission field and see how God is leading ordinary people to make an extraordinary difference in communities around the world with our television program, Maranatha Mission Stories. Join us in celebrating 50 years of missions at our annual convention. The Maranatha Channel App Download our app at the App Store and Google Play stores. www.maranatha.org View all episodes online at Maranatha’s website. Find segments by using our online “Search” function. 3ABN Friday, 7:30 p.m. Saturday, 2:00 p.m. 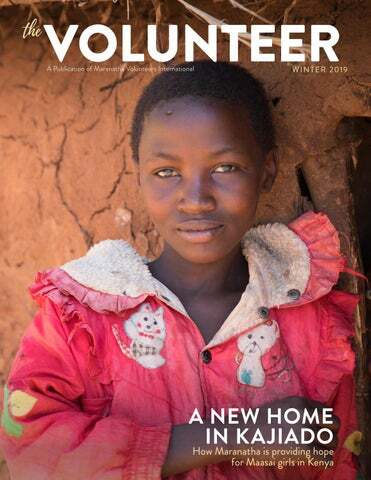 The Volunteer is the official publication of Maranatha Volunteers International.